Oxton at the turn of the 19th century was an inhospitable place, a sandstone hill with poor soil, covered in bracken. We can read the descriptions of early chroniclers revealing that it was indeed a place of solitude and desolation. Of course there are no photographs to prove this but by the 1850s the recording of images using cameras had established and grew as a hobby and as a business over the next decades. And as it happened this was the time when Oxton turned from an agricultural area into a prosperous, bustling, interesting and beautiful place, with inns, churches, parks, mansions, businesses, shops and people. Happily many images of the Oxton area as it was are still available for us to enjoy in the photographs and post cards of the time. On this site we have a small part of our collection of photographs. There are more kept in the Oxton History Group Archive held at the Oxton Bookshop in the Williamson Art Gallery and Museum. 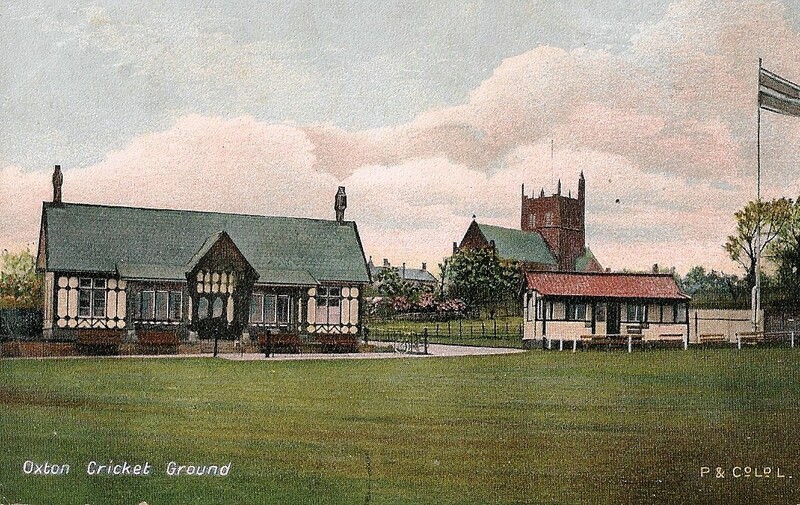 The Archive is a collection of historical materials, written articles, pictures, postcards and maps of Oxton. See the Williamson’s website for opening times if you would like to look at the Archive collection. The contents of the Oxton Community History Archive are gradually being transferred online and will be available through this website. Items that have been downloaded so far can be viewed below. A history of Oxton: a compilation outlining the events of two millennia by John Green. 19th-century Oxton: a history by Ray Johnson. Oxton road names: their origins. Anecdotes of Poplar Road by Peter Urquhart. Shops and shopkeepers: reminiscences of Oxton shops and their owners. Slow and quiet: a view of the Village by David Charters. Henderson’s Nursery: a former Village business by Ray Johnson. The Oxton Society has a History Group which meets regularly to discuss local history and plan a range of activities, including Heritage Walks of the Oxton area.